I went back again this year for 6 days, planned to stay 10 but the weather (wind and rain) took it's toll on my head and I got tired of the inside of the tent. It was fun, but I need to plan and stash some firewood for next years trip. Thanks for sharing this, Robin. I enjoyed seeing how you laid out the camp. The hot tent concept is gaining a hold inside me. Just one look at that campsite and you could tell it would be a tough search for wood. 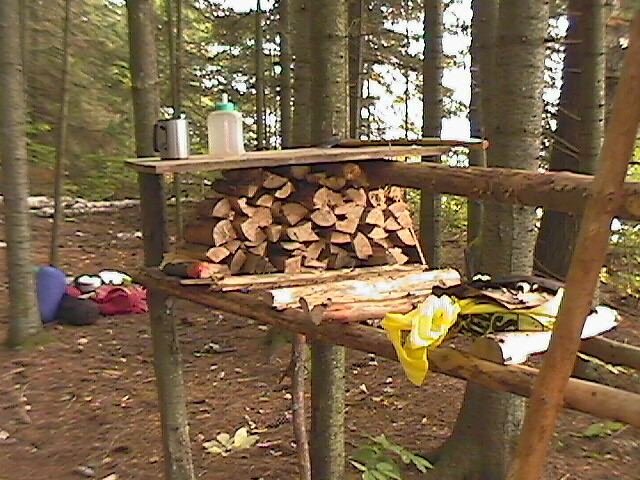 Even on campfire trips where portaging is low I haul in a milk crate worth of wood. Nice hardwood that's cured for over a year. Split down to use as kindling to ignite damp wood one finds. Even if you make a specific trip back down a 200m portage for that crate its worth the effort as you'll never find that quality of hardwood and include sawing and splitting for that walk. Thanks, The hot tent really is a nice way to enjoy shoulder season canoe camping as I age. I agree, hauling in some nice aged split wood is a good plan. 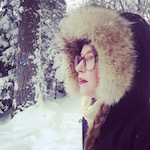 Unfortunately, NY doesn't allow importing firewood from other states (in my case, Connecticut) due to various invasive species. 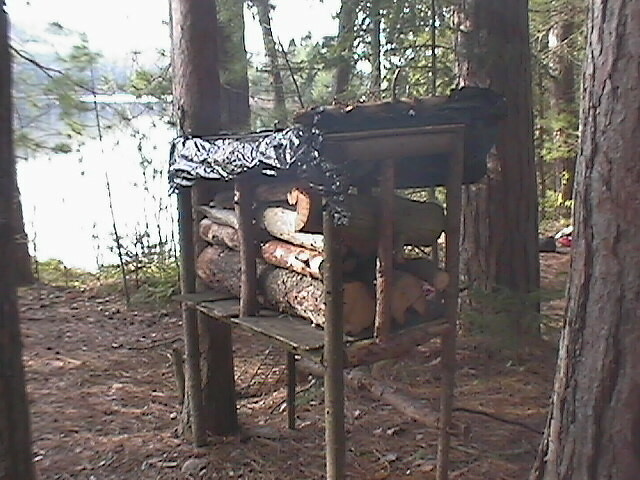 My wood stove is cut down to 12" deep, so buying camp wood locally that size is a problem also. Heck, I have 7 cords stacked in my shed, but I can;t bring any of it. To make matters worse, you can't cut dead standing wood, only wood laying on the ground which is a chore to find, and only with a hand saw no chainsaws.. Finally, after a summer of campers picking thru the campsites available wood, pickin's are slim, you called it right. I paddled along the shore, found an active beaver lodge and headed over to the shoerline where the prevailing wind blew any beaver wood into the high water bushes...lots of dried beaver sticks lodged up in the shoreline vegetation, but just not enough to keep me warm for any length of time. My plan for next year is to make a trip in before the fall just to cut, split and stack some wood which I will hide in the bush till my fall trip. Most Ontario parks also have bans on bringing in outside firewood, too, but at many access points and campgrounds they offer firewood for sale. Do you have anything like that down there? In a better year, when your hunt is successful, how do you bring the carcass out? Is there room in that 18 footer for the extra weight and awkward shape of, say, a 170 lb kill? Just curious, mostly because, at this age, I find it hard enough to drag one outta the bush, let alone paddle with it. I never venture far back into the woods there, so if I did get a deer I could manage to drag it to the canoe. I have wing nuts on a thwart so I could remove that and get the deer into the canoe. I carry a small pulley system to hoist even a large deer, and I carry bags to bone out/process the deer meat. There is a law here in Connecticut that forbids importing a deer carcass from NY. 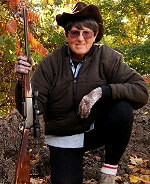 Seems NY had some cases of CWD from escaped pen raised deer and Connecticut has reacted to it, NY venison is ok, no bones, so to follow the rules, I would have to have the deer boned out before going home. I think you can still bring in kiln dried wood. Such as the bagged stuff you buy at a Home Depot. Kiln dried would work, and I could re-cut it at home to fit my small wood stove. Thanks, a good option I will work on. I like your stacks of wood, always nice to see a stack of wood when you enter a campsite. Rob Haslam's Outers had left a nice pile on Marshall Lake this year at a site, although it was too warm for a fire and I used my little stick stove to cook, it was there when I left.